Gee … on-line support systems for prostate cancer patients actually work! This is the conclusion of a recent paper by Osei et al. in Urology Nursing that is also available (in a full text version) on the Medscape web site. As an organization that has been providing individual patients with on-line support through our social network for most of the past 5 years, we are less than surprised by this finding, which was based on randomized provision of on-line support to just 20 patients in collaboration with Us TOO International, with another 20 men being randomized to not receive the same on-line support. In a number of ways, this paper appears to epitomize the massive disconnect between what patients really need in order to optimize their decision processes and the overall quality of their outcomes before and after treatment for prostate cancer (which are recognizably high) and the interests of the clinical research community in how best to actually address such needs (which appear to be low). This is not a criticism of the paper itself … or of Dr. Osei and his colleagues. Rather, it is a comment on the way in which medicine is failing the community it aims to help because it is overly focused on technical details and under-focused on quality of care. The “New” Prostate Cancer InfoLink congratulates Us TOO International for working in cooperation with the researchers to implement this research. However, it is more than a little frustrating to us to see such a small study carried out that is underpowered to tell us anything more than the fact that on-line support systems are a good idea. What we need is funding to develop and support far more sophisticated on-line support systems that are capable of generating far more meaningful data for well-defined subsets of patients. The resistance to on-line support is not unlike the resistance to in-office support. There are many nurses capable of answering questions about subjects which in the end have no definitive answers. Why do doctors not have staff spend the necessary time with patients or recommend web sites? I am sure there is a little bit of the Wizard of Oz complex. I do not believe that is the controlling factor. Society has a liability problem. We will allow a physician to delegate responsibility to staff (or the Internet). We do not, however, allow them to delegate liability to staff, or even to the patient themselves. I just want to know how long after SBRT should PSA levels drop. What about one month readings …? 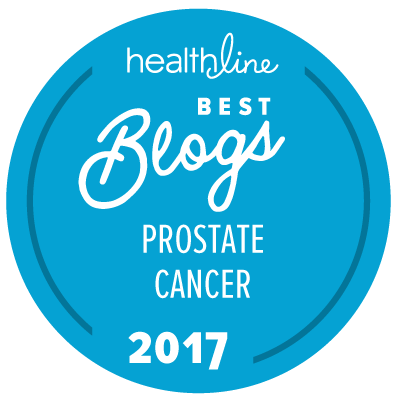 Any PSA level taken less than 3 months after completion of any form of radiation therapy for prostate cancer has a relatively low level of reliability as a measure of success, and PSA levels may continue to fall in individual patients for up to a year after completion of first-line treatment. If you can persuade someone to give you monthly PSA tests, starting about 3 months after completion of the SBRT, you will (hopefully) see your PSA fall gradually over time to a nadir level, but what is normally recommended is a PSA test every 3 months after completion of therapy — regardless of the type of radiation therapy used. Please note also that it is important to get all your PSA tests done by a single laboratory so that you know you are comparing apples to apples. MS … your ‘our social network’ link does not work. Thank you … ’tis fixed.